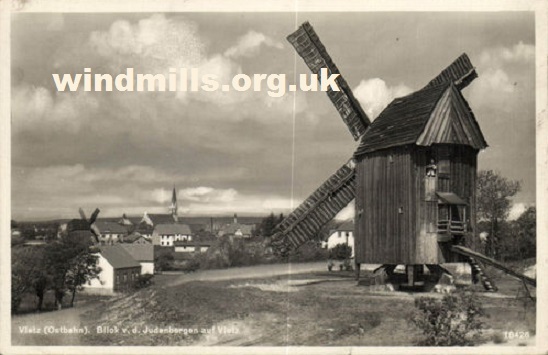 A postcard mailed in 1930 of one of two mills in the small town of Vietz, Germany, now, Witnica, Poland. The mill in Vietz, East Brandenburg, Germany. Since 1945, Witnica, Lubuskie, Poland. This entry was posted in Industrial Heritage, Windmills and tagged brandenburg, germany, Poland on June 21, 2014 by Tower Mill.